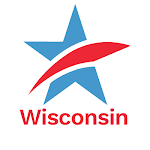 A significant number of national and state advocacy organizations have sent a letter to Wisconsin Governor Scott Walker, urging he oppose – and veto if necessary – any changes to the operation or structure of the Wisconsin Government Accountability Board (GAB), the state agency that oversees election, campaign finance, ethics and lobbying law. The GAB was established in 2008 after being passed in the Wisconsin Legislature in early 2007 by a nearly unanimous vote and signed into law. It is the only non-partisan such agency in the nation and is considered a national model by election and campaign finance experts. Legislative leaders have been critical of the GAB since before the 2014 election and have vowed to make changes that would make the agency more partisan and less independent. Legislation is expected to be introduced in the coming weeks. A poll released Monday shows that 62 percent of Wisconsinites favor keeping the GAB independent, impartial and non-partisan with only ex-judges serving on the board. Only 12 percent favored changing the board to one that has some partisan members. Support for keeping the GAB the way it is now was very high among Democrats, Republicans, and Independents. Democratic voters: 61% to 13%, Republicans: 57% to 14%, and Independents: 67% to 9%. The letter to Governor Walker and the organizations signing it. 1. Legislation that would severely cripple the long-established "John Doe" process for investigation of many crimes, including political corruption, in Wisconsin, Senate Bill 43, received a public hearing last Wednesday before the State Senate Committee on Judiciary and Public Safety. We have coined this measure the "Political Corruption Protection Act of 2015," or the "PCP" bill, for short. Like the PCP drug, this legislation is toxic, dangerous, mind-altering and ought to be avoided and made illegal. How ironic that it was considered before a committee dealing with "public safety." This measure is anything but safe. 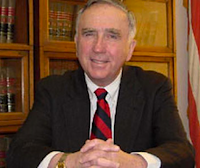 Former Milwaukee County District Attorney and current CC/WI Board Member E. Michael McCann, who utilized the John Doe process to prosecute former State Senate Majority Leader Chuck Chvala (D-Madison) and ultimately convict Chvala of two felonies during the 2001-2002 Legislative Caucus Scandal, said enactment of this legislation will permanently end the John Doe investigation of the 2012 recall election of Gov. Scott Walker and the nation will want to know why Walker allowed that to happen as he runs for President. It would also prevent the John Doe process to be used in the future to investigate political corruption in Wisconsin. For other news accounts of McCann's comments and of the hearing go here and here. Earlier, CC/WI said this. To view (on Wisconsin Eye) the public hearing, McCann's testimony (starts at 01:33:30) and the questioning by Committee Senators, go here – and to read McCann's written testimony, go here. On the day after the hearing, the State Senate Committee passed Senate Bill 43 on a party-line vote with Republican Senators Van Wanggaard of Racine, Leah Vukmir of Wauwatosa and Frank Lasee of DePere voting for this misguided measure. Democratic Senators Fred Risser of Madison and Lena Taylor of Milwaukee voted no. The measure could be scheduled for a vote by the full State Senate at any time. Assembly Speaker Robin Vos (R-Rochester) said last week he was inclined not to consider the measure in the Assembly until after the Wisconsin Supreme Court ruled on whether the John Doe investigation of Walker's 2012 recall campaign could proceed. If the Court were to vote for the John Doe to proceed (unlikely but possible), you can be sure that Vos will ram this measure through the Assembly and send it to Walker for signature in record time. The national fallout that would ensue if that happens would likely be tumultuous. 2. 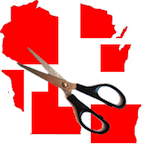 Legislation with bipartisan support that would replace Wisconsin's current hyper-partisan, secretive and expensive redistricting process with a widely heralded non-partisan, fair and cost-effective redistricting modeled after Iowa, was introduced two weeks ago. Senate Bill 58 is identical to the anti-gerrymandering measures that gained substantial support during the 2013-2014 legislative session, including the endorsement of 19 daily Wisconsin newspapers. The main author of Senate Bill 58 is State Senator Dave Hansen (D-Green Bay) and the measure already has 47 co-sponsors! CC/WI has a listing of all the co-sponsors on our website, which you can view here. We will constantly update that listing, so check back often to see who is on and who isn't. There will be much more on the redistricting reform legislation in the weeks ahead when it is officially "rolled out." Senate Bill 58 also appears to be immune from a constitutional challenge now before the U.S. Supreme Court, which is a great relief. For more on this, go here. In related news, at the federal level, Wisconsin U.S. Representative Reid Ribble (R-DePere) introduced bipartisan congressional redistricting reform legislation last week. Ribble has been a strong supporter of ending gerrymandering and faults it for increasing the bitter partisanship and polarization that overwhelms Wisconsin and national politics today. 3. 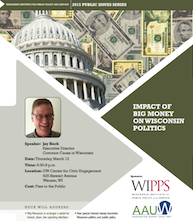 Last Thursday evening, CC/WI Director Jay Heck was in Wausau at the UW Center for Civic Engagement to talk about how campaign money has ruined Wisconsin elections and the public policy-making process over the years. There was a great turnout of many concerned and engaged citizens who were looking to find out what happened in our state, which not long ago, was a national model for clean, honest accountable state government. The Wausau Daily Herald covered the event and you can read about it here. Thanks to former State Representative Mandy Wright and her colleagues for organizing a great event! 4. This Tuesday evening, March 17th (St. Patrick's Day!) 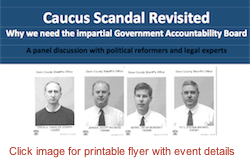 Jay will be part of a panel discussing the 2001-2002 Wisconsin Legislative Caucus Scandal and how that led to the creation of the Wisconsin Government Accountability Board (GAB) in 2007. The GAB is now under assault by the Republican leaders in the Wisconsin Legislature. The panel, which also includes former Wisconsin Attorney General Peg Lautenschlager (2003-2007), will discuss why the GAB must be protected and preserved and not be brought under the thumb of partisan legislative leaders and political hacks. Matt Rothschild, the director of the Wisconsin Democracy Campaign, will moderate. For details go here. If you are in Madison, we hope to see you there! One of the most distinguished and longest-serving district attorneys in the nation, E. Michael McCann, will testify on Wednesday at a public hearing on legislation that would severely cripple the long-established "John Doe" process for investigation of many crimes, including political corruption, in Wisconsin. Senate Bill 43 is before the State Senate Committee on Judiciary and Public Safety at a public hearing on this and another measure on March 11th beginning at 10:00 AM in Room 411-South of the State Capitol. McCann was elected District Attorney of Milwaukee County in 1968 and served in that capacity for 38 years, until the end of 2006. His office utilized the John Doe process to investigate and ultimately criminally charge former State Senate Majority Leader Chuck Chvala (D-Madison) with 20 felonies, including extortion, in October of 2002 in the Capitol Legislative Caucus Scandal, in which five other top legislative leaders of both political parties were also charged and ultimately forced from office. McCann has served on the Common Cause in Wisconsin State Governing Board since 2008. He will testify against Senate Bill 43. Really awful, "high priority" legislation devised by politicians to protect politicians from effective investigations – a measure that nobody has clamored for except politicians – will receive a public hearing this week in the State Capitol in Madison. A good name for it would be the "Political Corruption Protection Act of 2015," or the PCP bill, for short. Like the PCP drug, this legislation is toxic, dangerous, mind-altering and ought to be illegal. 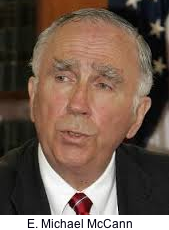 "John Doe" investigations have long been utilized in Wisconsin to investigate and ferret out political corruption as well as a whole host of other crimes. It was through the John Doe process in 2001-2002 that six top state legislative leaders of both major political parties were investigated and brought to trial and ultimately convicted and forced from public office in the worst political scandal in Wisconsin's history – the Legislative Caucus Scandal. The "PCP" measure, Senate Bill 43, is a hyper-partisan measure authored almost entirely by legislators who were not in office when the Caucus Scandal enveloped the Capitol and paralyzed the state in 2002. They do not like the idea of having to be subject to the same laws "normal" Wisconsin citizens must abide by and they are demanding preferential treatment for themselves by making it much more difficult for political crimes to be effectively investigated. And, they hate that the John Doe process was utilized to investigate wrong doing that led to the criminal conviction of six individuals working for, or supporting Scott Walker when he was the Milwaukee County Executive. And they hate even more that the John Doe process was being used by a Republican Special Prosecutor, three Democratic and two Republican District Attorneys to investigate possible criminal, illegal campaign coordination between Walker's 2012 recall election campaign and big, outside special interest groups such as Wisconsin Club for Growth (WCG) and Wisconsin Manufacturers and Commerce (WMC). The fate of that investigation is now in the hands of the Wisconsin Supreme Court, where four of the seven justices have huge conflicts of interest as the beneficiaries of hundreds of thousands of dollars spent in their behalf by WCG and WMC. For more background information about the PCP bill, go here. You need to contact both your State Senator and State Representative and tell them you vehemently oppose Senate Bill 43. If you are not sure who they are, go here. Let's not allow politicians to make it more difficult to investigate political corruption! Will Right-Wing Big Money Buy Another Seat on the State Supreme Court?